Earlier today The Rams beat New Orleans to advance to the Super Bowl also…. The Patriots drove 75 yards in 13 plays to beat the Kansas City Chiefs, 37-31, in overtime in the AFC Championship Game on Sunday at Arrowhead Stadium in Kansas City. Running back Rex Burkhead scored on a 2-yard run. The Patriots, in their third consecutive Super Bowl, will face the Los Angeles Rams in Super Bowl 53 on February 3, 2019 (2/3/19) in Atlanta, Georgia. Patriots quarterback Tom Brady, who threw for 348 yards and a TD, has won five Super Bowls. The Patriots, after blowing a 14-0 first-half lead, overcame three TD passes in the second half by Chiefs QB Patrick Mahomes. 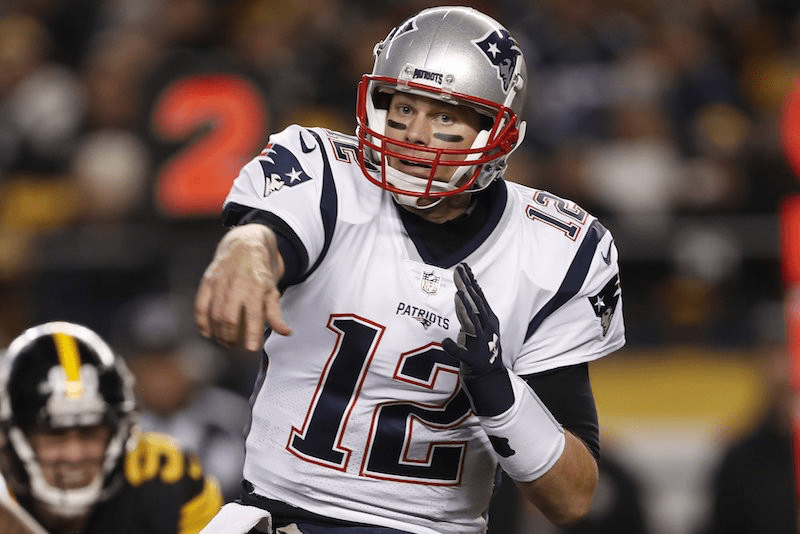 The New England Patriots, led by quarterback Tom Brady and tight end Rob Gronkowski, meet the Kansas City Chiefs, led by quarterback Patrick Mahomes and tight end Travis Kelce, in the AFC Championship Game on January 20, 2019 (1/20/19) at Arrowhead Stadium in Kansas City, Missouri…..